Moms select Rudi’s Organic and Rudi’s Gluten-Free Breads as among their favorite natural and organic breakfast foods to serve their families. “We are honored that KIWI magazine, and more importantly parents, have recommended our breads as a great way for the whole family to start their day,” said Doug Radi, senior vice president of marketing and sales for Rudi’s Organic. KIWI magazine readers have selected Rudi’s Organic Bakery® Bread and Rudi’s Gluten-Free Bakery™ Bread as two of the best breakfast options for kids in the fifth annual KIWI Awards for Best Kid Food. The complete list of foods that kids love and parents can feel good about purchasing can be found in the April/May 2013 issue of the magazine, which is online and available at newsstands now. KIWI’s annual awards chose the best natural and organic products that are free of artificial ingredients and have a taste that makes kids smile. The list was voted on by 2,500 parents from the KIWI Parent Advisory Board, a panel of parents KIWI selects to evaluate products based on a shared commitment to healthy and green living. Rudi’s Organic was founded more than 35 years ago in Boulder, Colo., by individuals who had a holistic approach to living, and believed that healthy families are happy families. Today, the bakers at Rudi’s Organic remain committed to the idea that the best breads come from the best ingredients, including only natural and organic ingredients and special touches that add some extra love, like plump organic raisins, spelt, flax, sunflower seeds and pumpkin seeds. Rudi’s Organic breads are made in small batches using craft techniques that yield right flavors and textures the whole family can enjoy. 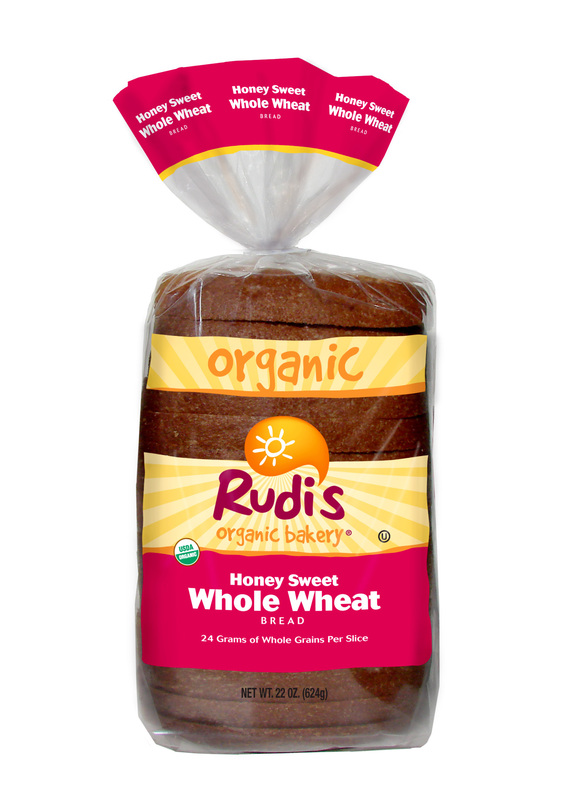 Rudi’s Organic offers a variety of breads including several kid favorites like Honey Sweet Whole Wheat, 14 Grain, and a breakfast favorite, Cinnamon Raisin. Rudi’s Gluten-Free also offers several varieties including Original, Multigrain and Cinnamon Raisin Bread that it the perfect base for a wholesome breakfast, especially with a new recipe that offers incredible soft and fluffy taste and texture. For more information on the awards, pick up a copy of KIWI on newsstands today, and visit rudisbakery.com to find a retailer near you carrying these award-winning breads. About Rudi’s Organic Bakery, Inc.
Rudi’s Organic Bakery, Inc., has been passionate about baking better breads for families for more than 36 years. Founded and headquartered in Boulder, Colo., Rudi’s Organic Bakery is the leading nationally available brand offering a full line of nutritious and delicious, certified organic breads and baked goods. Rudi’s Organic is committed to baking breads using only the best organic ingredients and no artificial additives, preservatives and GMOs. In 2010, Rudi’s Organic leveraged this heritage to create Rudi’s Gluten-Free Bakery, a line of gluten-free breads and baked goods made with wholesome, all-natural ingredients so that each bite tastes like the real thing. Rudi’s Organic and Rudi’s Gluten-Free products are available nationally at natural foods stores and select mainstream supermarkets. For more information, visit rudisbakery.com.